Years ago, in Michigan, whilst I was grocery-shopping at Meijer, I saw this lady and her daughter contemplating a monster-size jar of peanut butter. She said,”Let’s get this, shall we? ‘Coz we hate to run out of peanut butter, don’t we?” I was deeply amused that anyone would buy such a large jar. I don’t remember how large but it was huge. I thought to myself that that jar is going to last FOREVER and then some. Over the years, I have turned into the Peanut Butter Lady. As a SAHM, I now understand why. ‘Coz we hate to run out of peanut butter! I make at least 3 meals a day, everyday. I keep buying food but the People in my house keep eating them up! LOL. So my grocery shopping is never done. It helps if I can buy certain things in bulk and after that that would be one item I can cross off the list for at least a few weeks. Check out my latest acquisition. They were BOGOs. You know I can’t resist a good deal. Put butter, honey and sugar into a big pot. Heat it up until sugar is melted. Dump in the rest of the ingredients and stir till they are well mixed. Scoop them up into muffin cups. It should fill about 12-15 muffin cups. Pop them into the oven and bake at 120c for about 5-7 min. Leave it to cool before storing in air tight container. As usual, this recipe doesn’t need any careful weighing/measuring. The honey is for the flavor and the sugar is to get them to stick together upon cooling. 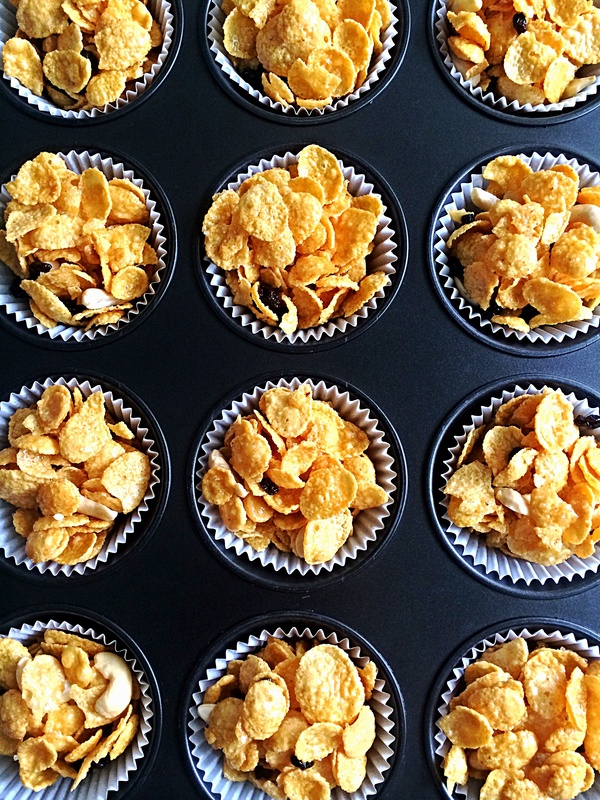 The only thing that can go wrong is when you bake it at too high a temperature and burn the sugar on the cornflakes. Or forget to adjust the oven from grill to bake and go do some knitting instead of watching the oven… and failing to investigate the burning smell emanating from the kitchen. This is our current favorite. 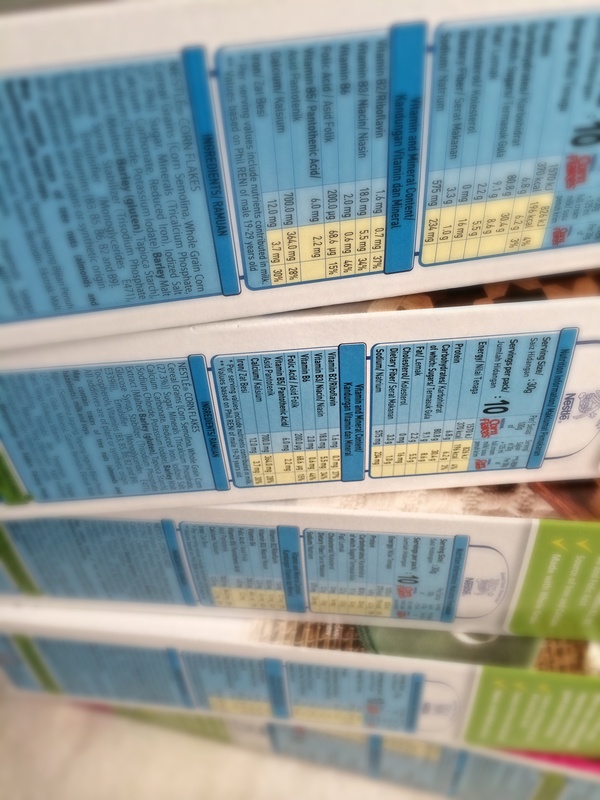 Each box of cornflakes can only make approximately 3 batches. Not much. So buying 5 boxes doesn’t sound so crazy after all, right? ?